Logistics can play a part, particularly for those who plan to retire overseas or expand a business in the same country as they manage international bank accounts. Overwhelmingly, however, choosing the right destination for international banking depends heavily on how easy and affordable a country makes it for foreign individuals and companies to bank within their jurisdiction. Get to know some of the many reasons that contribute to the relative ease of international banking in Belize as compared to other destinations around the globe. Some countries offering international banking don't have stability for their currency or for their government, which can make it risky for investors and account holders. In Belize, however, there is a history of long term peace and stability. Furthermore, the Belize dollar is tied to the U.S. dollar at an exchange rate of 2:1, which can be encouraging to many. Whether you are opening a small savings account or you are planning to retire to Belize and open up a range of accounts, communication is critical. One of the definite advantages of deciding to bank in Belize is that English is the official language throughout the country. If you have a basic question about your online bank account access or you need guidance from a financial expert when it comes to your IRA, you can speak to someone who is fluent in English. Another reason that banking in Belize can be relatively easier than banking in other countries is because the nation offers impressive tax reductions for foreign account holders. Some income structures are entirely tax free, leaving you with more money at the end of the year to be pocketed or even reinvested to continue growth over time. Perhaps the biggest way that Belize makes international banking easier is by offering a simple and straightforward account application process. The rules and prerequisites for establishing a bank account in Belize are clear, making it easy for you to gather the documents needed. Once the application has been submitted and originals or copies of the necessary documents have been acquired, your bank account can be active in as little as 15 minutes. International banking in Belize is easier in large part because you will have greater overall control over your assets. There are no exchange controls in place for bank accounts in Belize, which means that you can withdraw or deposit money at your convenience and in the amounts that best suit your financial status. Plus, banks won't divulge information about who owns the account or their financial history, which grants greater level privacy and anonymity over your bank accounts in Belize. 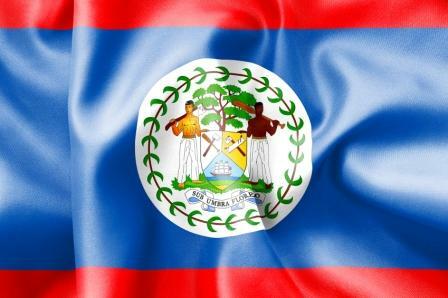 Although international banking is an option around the globe, Belize stands out as a top pick. Banking in Belize gives you greater control over your assets, makes establishing accounts simpler, offers lower rates of taxation, boasts English as the official language and has a history of stability and peace.